MCT Purple Drink Rocket Fuel. A great afternoon pick me up. 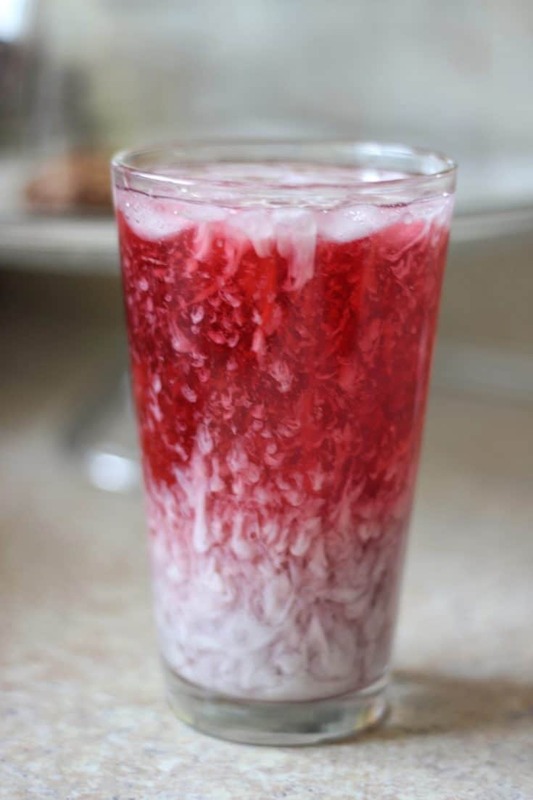 This Purple Drink will win you over to the MCT oil side of life because its just that good. 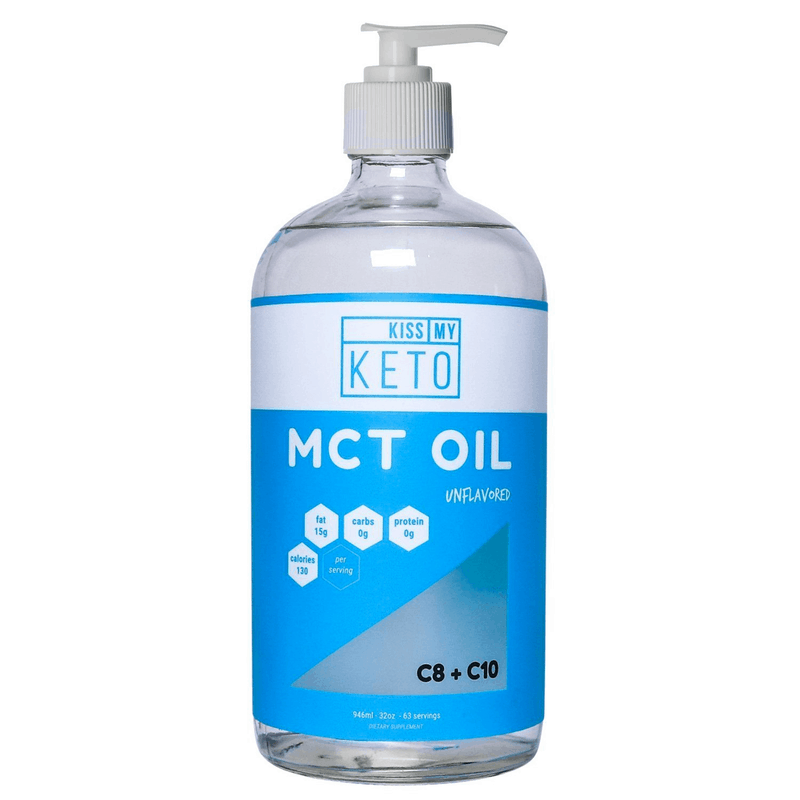 When I first started Keto I thought that MCT oil was just snakeoil, a hoax. 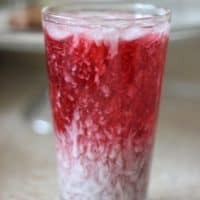 As a result of creating this Purple Drink Starbucks Copycat I was totally won over. MCT oil is flavorless however once it hits your system you will feel like you drank rocket fuel. I have never tried the Starbuck’s version of “Purple Drink” or “Pink Drink”. Due to the closest Starbucks is an hour away, I do not do Starbucks often. 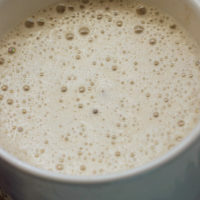 I do not drink coffee often because it is a trigger for my Rheumatoid Arthritis. So, I drink a lot of tea. It is for this reason that I try a lot of different teas. I do not usually do not gravitate towards sweet drinks like this however the colors really got me thinking about it. 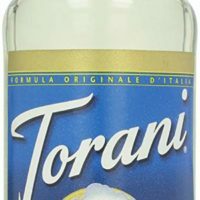 When ate a Paleo diet I avoided artificial sweeteners but these day’s the Sugar Free Torani’s do not seem to effect my RA like real sugar does. 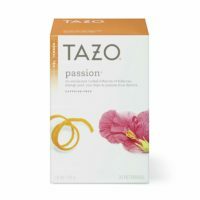 After seeing Passion Fruit Tea on sale at Albertson’s I looked up popular methods of making this tea and as a result this recipe was born. My favorite color is purple so I had to try this out. 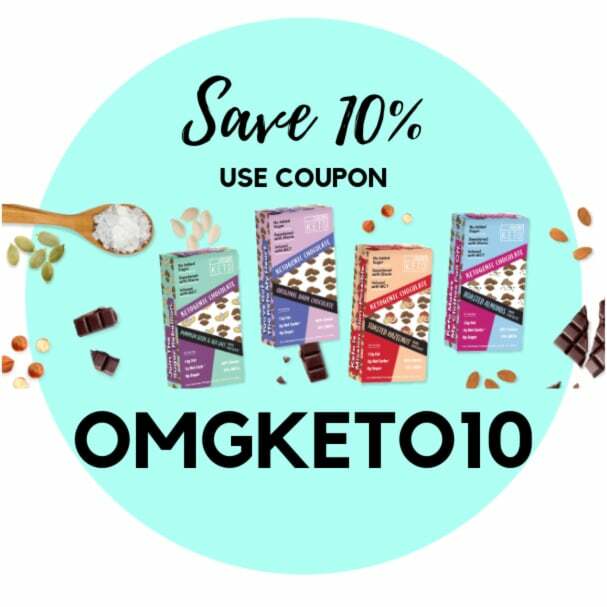 I added MCT oil to it for an extra boost of energy and because I am keto, I love the fats! How does MCT oil taste? Mct oil is an odorless, flavorless which is great because it is easy to add to drinks this way. You can purchase MCT oil powders that are flavored however I suggest when starting out sticking with the real deal. There are many different way’s you can take MCT oil, putting it into drinks is probably the easiest. Add it to a tea or coffee for an added boost of energy. It comes in powders, gel capsules and in the liquid form. 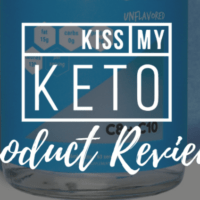 My favorite MCT oil comes in Gel Capsules for easy packing to and from work with me. Bring the water to a boil and steep the tea bag in the hot water for about 5 minutes. remove the tea bag and add the ice. Add the sugar free syrup, MCT oil and Coconut Milk and stir. Add more ice if you want your drink to be colder, I use a straw. 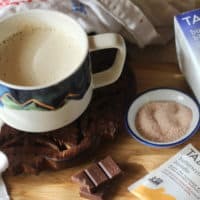 If you are looking for something hot that is full of healthy fats try out one of these alternatives to bulletproof coffee. I call them "Fatty Teas". Next Post: How to Reverse Sear for perfect steaks, everytime. Amazing! I hope you love it! I’m actually located in Beach – on the border of nd and mt. I’m assuming you used the unsweetened almond/coconut milk, right? So, if I only have almond milk can I just add some coconut extract? What do I ask for in Star bucks for this butterscotch blonde fat bomb? 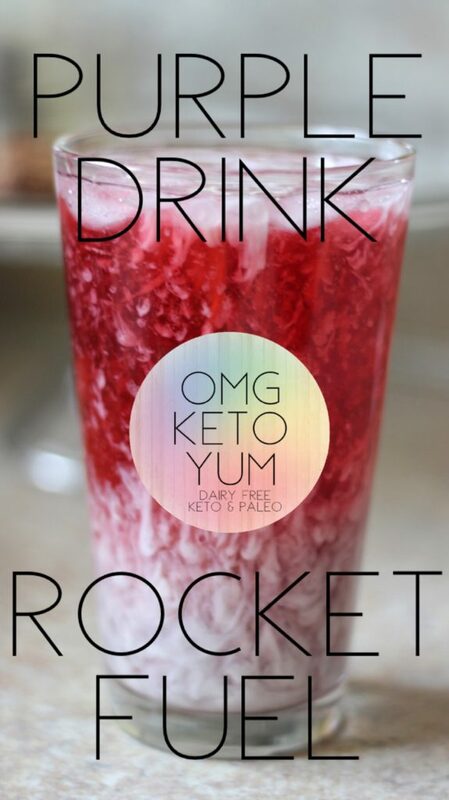 Sorry I don’t drink anything at Star bucks because I don’t like tea or coffee but I would love to try these Keto drinks there. Thank you in advance for this ideas. I don’t think you can order a Butterscotch Blondie fat bomb at Starbucks but you can order a “purple drink”. It’s basically a Hibiscus tea without the syrup, sugar free vanilla syrup and heavy whipping cream. I live an hour away from Starbucks so I don’t go there often at all however when I do I usually ask order an Americano with sugar free Cinnamon Dolche syrup and heavy whipping cream or coconut milk of they have it. I hope this answers your question. 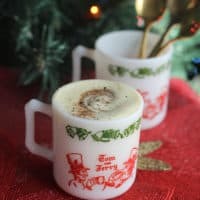 Can I make this ahead of time and just pour it over ice at work? 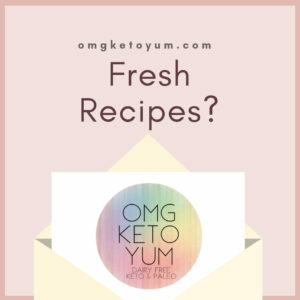 I’m trying to find keto friendly snacks & energy boosters for lunch. Sure – you might have to blend it again after it sits. I suggest making the tea with the mct oil in it then store it in the fridge. When your ready, blend it together and then add the ice and coconut milk. Yea that’s why I call it rocket fuel! I was so surprised at how awesome mct oil made me feel the first time I drank this so I named it Rocket Fuel. I hope you love it. I just made it and it’s absolutely so tasty!!!!! I’m so excited! I’m waiting for the energy ha but the taste is excellent & I was too impatient to wait to tell you. Energy!!! Yes! And now I Get the mental clarity! I’m gonna but more MCT for sure!!! Thank u! This changes everything! Can you premake this and serve later? I’ve never made it ahead of time but I think it would be ok. The mct oil might separate out – if you make it and blend it then use a coffee frother when you serve it to re mix it – I bet it would work. Awesome article! I’ll definitely try this someday! Thanks for sharing!